Home / Animax / anime / Brynhildr in the Darkness / press release / Rage of Bahamut: Genesis / It’s ‘March Madness’ for anime fans as Animax premieres ‘Brynhildr in the Darkness’ and ‘Rage of Bahamut: Genesis’! It’s ‘March Madness’ for anime fans as Animax premieres ‘Brynhildr in the Darkness’ and ‘Rage of Bahamut: Genesis’! ‘March Madness’ takes on a new meaning for anime fans this month, asAnimax premieres two series that viewers will go mad for! Fans in Asia are in for a double dose of fantasy and romance when the first 24-hour anime channel in Asia exclusively launches two sci-fi/ adventure series this month: Brynhildr in the Darkness and Rage of Bahamut: Genesis. Brynhildr in the Darknessis from Arms studio, producers of such popular anime as Wizard Barristers and Maoyu. It follows the story of Ryota Murakami, an intelligent boy who nearly died in an accident that claimed his female childhood friend. To fulfil a promise he made to her of proving the existence of aliens, he devotes himself to observing the starry sky every night. One day, a girl who is the spitting image of his dead friend appears in his 11th grade class and then later saves his life with the use of magic. Who exactly is this mysterious young lady and what are her true intentions? 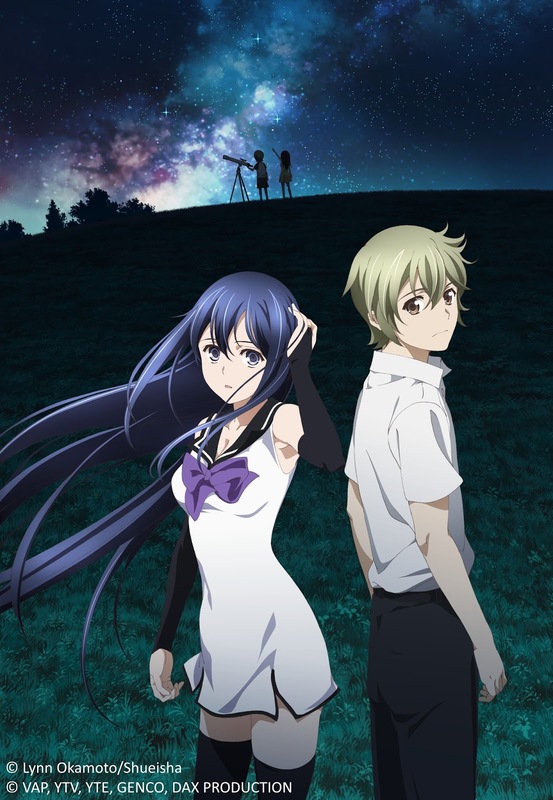 Brynhildr in the Darknessis based on the manga by Lynn Okamoto and directed by Kenichi Imazumi. Based on the immensely popular Bahamut card battle game developed by Cygames, Rage of Bahamut: Genesis is a visually extravagant animated fantasy action adventure reminiscent of The Lord of the Rings and Zorro. Rage of Bahamut: Genesis is produced by MAPPA, the studio behind the popular series,Terror in Resonance. The story begins long ago in Mistarcia, a mystical world where humans, gods and demons co-exist. When the fearsome Bahamut monster threatens to destroy Mistarcia, the three races overcome their differences and join forces to seal the Bahamut’s power. The key to that seal is then split in two and given to the gods and demons for safekeeping. Two thousand years later, however, the gods’ half of the key is stolen by a human woman, plunging the world into chaos. Can the stolen key be found before the Bahamut is unleashed? And what role will humanity play in this world-altering conflict? 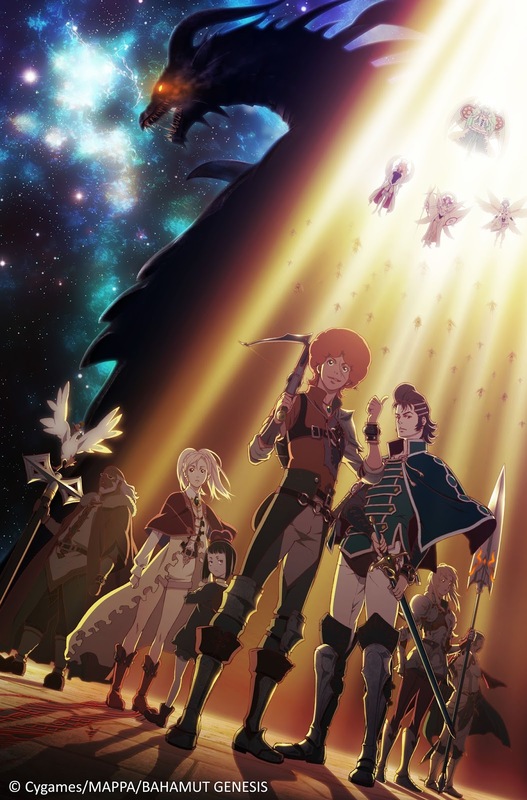 Rage of Bahamut: Genesis is directed by Keiichi Sato, with character designs by Naoyuki Onda. It is based on the Rage of Bahamut card game that’s played by more than three million players outside of Japan and was #1 on US Google Play when it was launched in 2012.